⅓- 1/2 cup sesame seeds, white or black or a combination of the two. Nigella seeds work well too. 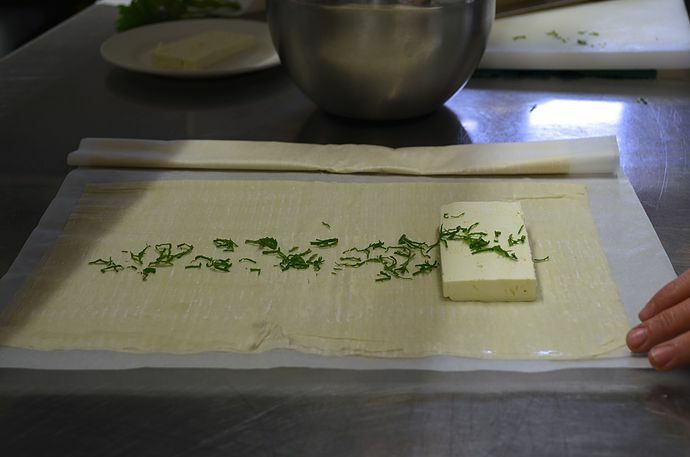 Spread a sheet of phyllo on a clean surface and brush lightly with melted butter. Lay the piece of feta close to one end, and sprinkle with herbs. 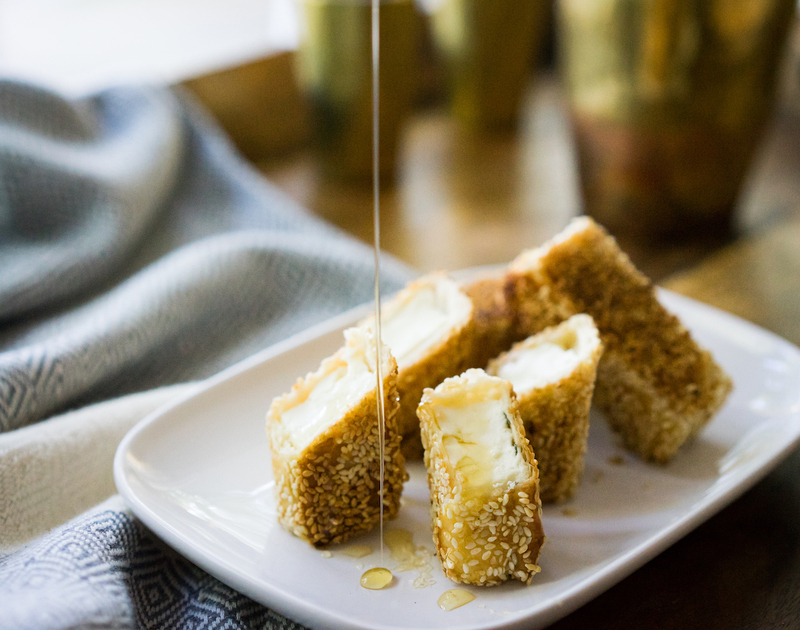 Fold the short end of the sheet over the feta to cover and brush with butter. Fold the top and bottom of the phyllo over the feta and then continue rolling the log in phyllo, brushing each newly exposed surface of phyllo with butter, until it’s tightly wrapped up into a little package. Do the same with the remaining feta and phyllo. Once all the feta packages are wrapped up, dip them in egg wash, making sure all sides are coated. 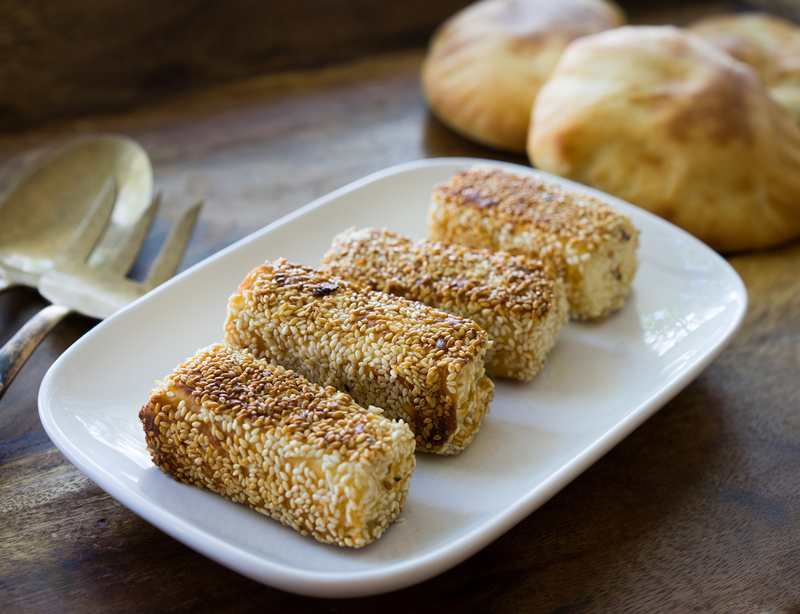 Then dip each packet in sesame seeds until all sides are covered, including the ends. In a cast iron or non-stick pan, heat the oil over medium-high heat. Place the feta packets in the pan without crowding them. Fry until golden and crispy on one side, then using tongs, carefully turn them so all sides are cooked till crispy and golden. If you’re not eating these right away, you can reheat and re-crisp them in the oven. Just place them on a baking sheet and bake for about 10 minutes at 250-300 degrees. 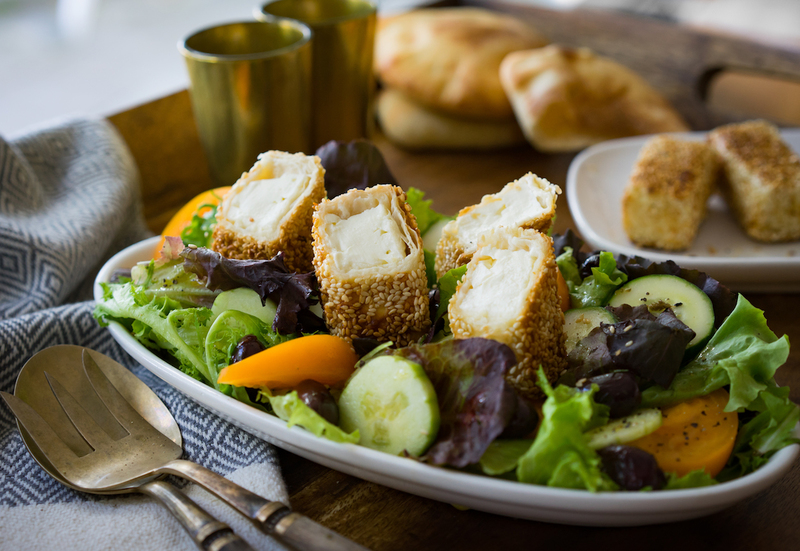 Serve them as an appetizer with a drizzle of local honey, or put them on top of a Greek salad!